Many of you may know Matt Ogden from Black Signal. They picked up the CEA for “Best Electronic Act” in 2014 and again in 2016! What you may not know about Matt (among other things) is that he is one hell of a show booker. 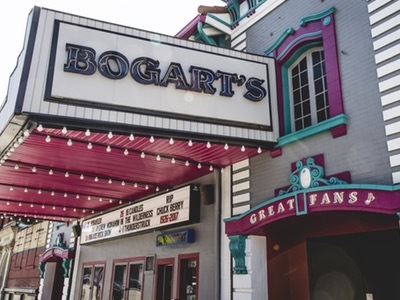 In just a few days, he wrangled over 40 bands to play a full house show at The Southgate House Revival for a show 26 days later. This show is to raise support and awareness for Democratic Presidential Candidate Bernie Sanders. This show will be free with an individual donation to the campaign at the door, from your phone or provided laptops. There will be an EXPRESS LINE for attendees who are pre-registered at berniesanders.com. We sat down with Matt Ogden prior to the event on Saturday, February 27th at The Southgate House Revival! 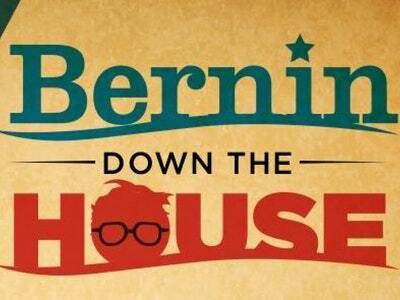 What prompted you to put together BERNING DOWN THE HOUSE? I've never been overly political, but I pay attention and try to make informed decisions. I've always sort of envied the people who could commit to a candidate but I never could. I liked Obama, I voted for Obama but I couldn’t put an Obama bumper sticker on my car. There's just too much of the political machine there for me. I have become disenfranchised with American government and I think a lot of Americans have. I think that greed and corruption have completely consumed our political system. I reached a point where I don’t think my needs would ever matter over “big money.” So when a guy like Bernie Sanders stands up to “big money…” well, hell yeah I’m gonna have his back! Putting this show together feels almost like an obligation. This is something I know I can do, that will help. The response has been fantastic! Morrella and I had been kicking around the idea of this show and on Feb 2nd she offered me the date. 26 days… that’s a pretty tight timeframe! I said, give me a couple days to gauge interest… I posted something on Facebook and inside of an hour I had enough bands confirmed to book the entire show right then and there if needed! That first hour was fantastic! 50+ people shared the post, people were tagging their friends, offering to help anyway they could. I love our music community in this city. I’m no stranger to hosting music based benefits but this is the first time its been political. I was blown away by the response! What would you like to come out of the benefit? Well, aside from raising as much money for Bernie’s campaign as possible… I’d like to increase overall awareness. There are so many people who have lost faith in American politics. I’d venture to guess there are a lot of people out there who would really be on board with Bernie’s ideas but they haven’t done the research. Look at this Matt Bevin situation in Kentucky. We now have a bona fide moron for a Governor because something like 70% of registered voters didn’t turn out to vote. When you have numbers that drastic, it’s sending a message. Americans have given up on government and the political system. Following the benefit on the 27th, what other events do you have planned? Having 26 days to book a show with 40+ bands is a feat. Especially considering some of the hardest working bands in the area have had their schedule booked for months. There were so many bands that wanted to be a part of this event but couldn’t make the date work. 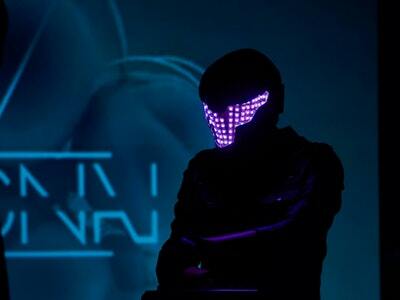 We’re already looking at a second event this summer (and the potential lineup is AMAZING!). I’m so pumped for the Bernie enthusiasm! I’m pumped for AMERICA! And by the way, I totally have a Bernie Sanders bumper sticker on my car! Check out the lineup and RSVP HERE. Pre-Register HERE. Stay tuned to CincyMusic.com for a full preview of the event and set times!